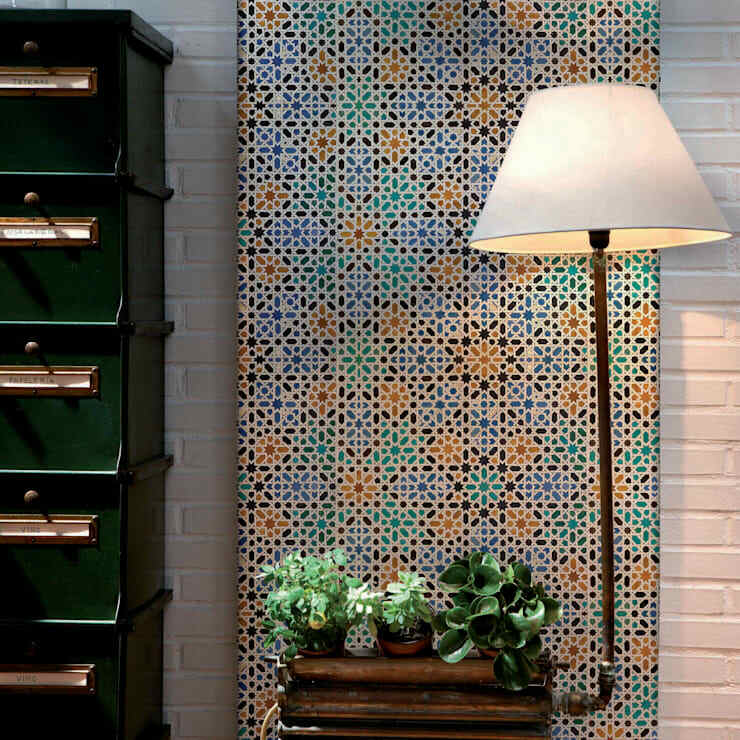 Tiles 'Alandalus' reference 3000031 (9 metres x 46.5cms) This impressive 'ancient faux tile' wallpaper takes its name from the Moorish historical region of Al Andalus and is an intricate lattice-work design featuring stars. This wallpaper has been digitally printed to achieve the aesthetic qualities of real tiles from 11th century Andalusia and 19th century Barcelona. This wallpaper is washable, with good light resistance and offers a wide application of use. The rich architecture of Antoni Gaudi’s modernist Barcelona and the grand palaces of 11th century Andalusia have provided the inspiration for this stunning new wallpaper collection from Coordonne of Barcelona.